Aspire Health & Sports is a purposefully designed health and fitness club to ensure you enjoy loads of space and variety to exercise and revitalize in an unintimidating and fully air-conditioned environment. 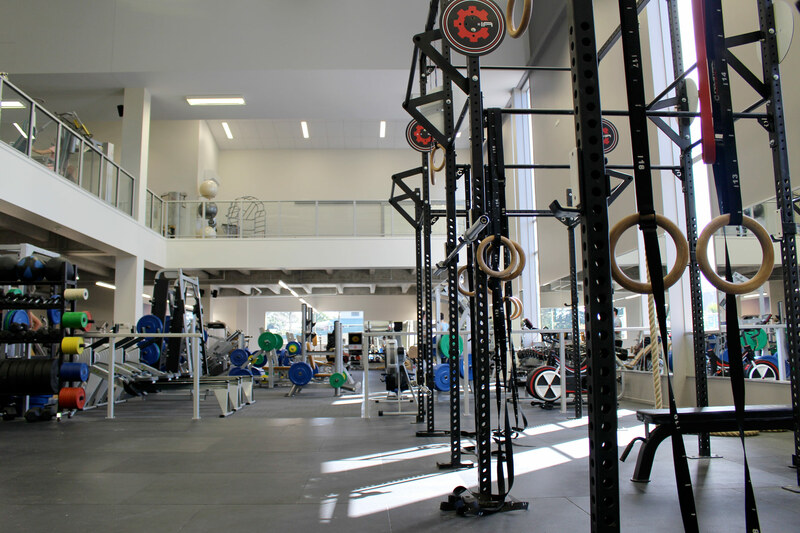 Divided into two sections, the main gym floor provides a unique space for High Performance training with training rigs, loads of free weight training equipment, and a 40-metre long indoor running track. We call this space ‘HPC’ and it provides everything necessary for the weekend athlete to top level High Performance training. The HPC space also extends out to a purpose built Astroturfed outdoor training space. How cools that! Extending alongside HPC is the main gym floor. Also containing loads of free weights, training riggs and a large and impressive range of strength and functional training equipment. This space is suitable for people of all levels and ages with exercise equipment to cater for everyone. 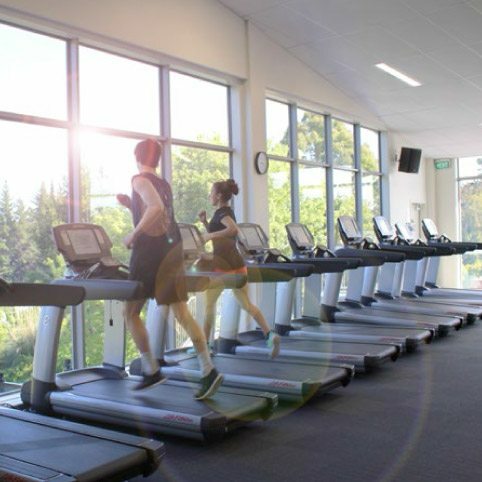 The Core Terrace on the mezzanine floor overlooks the main gym and HPC and is designed as a private space to exercise in a non-intimidating environment with its own range of specialised strength equipment. The Core Terrace offers a unique 9-piece Keiser circuit designed to provide the most time efficient way to allow you to complete a total body workout using some of the most advanced strength training machines on the planet. Also on the Core Terrace is a range of free-motion and Hoist strength machines as well as equipment and space for stretch/flexibility exercise. 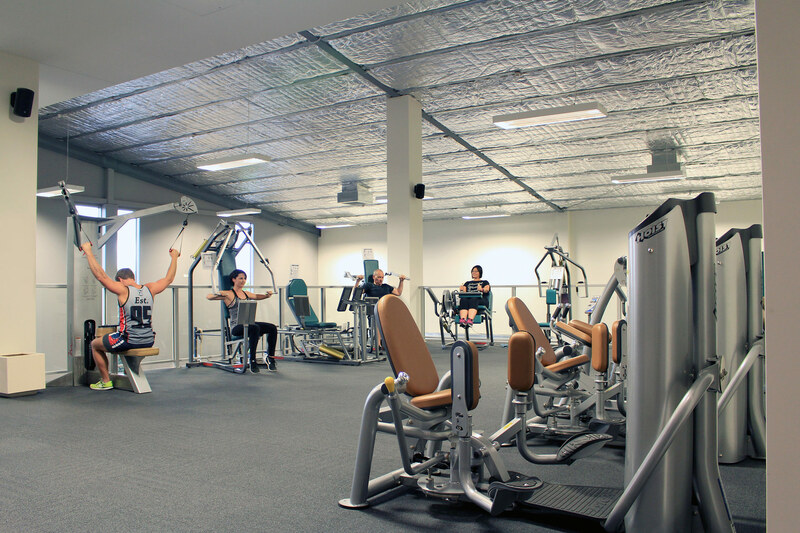 The Core Terrace, though suitable for everyone, is especially popular for ladies and seniors who prefer to workout in a space that offers everything they need but is a little bit removed from the main gym floor. Overlooking green fields and bush with views all the way to Bethlehem College the Aspire Cardio Studio offers a unique vista to take in as you shred those unwanted calories. With an impressive range of cardio machines including treadmills, cross trainers, summit trainers, arc trainers, rowing machines and life cycles the Aspire Cardio Studio is stacked full of exciting cardio options to help keep your workouts fun and exciting. With 30 Star Trac spin bikes Aspire’s modern and spacious spin studio is one of the largest in the country and offers an impressive assortment of both Les Mills and Freelance spin classes to cater for everyone. See the group fitness timetable for class times. Once you try these you will be hooked! Aspire’s main group fitness studio provides a large, expansive, and fully air-conditioned space offering a wide selection of Les Mills and freelance classes to suit everyone. At Aspire we take pride in the number and variety of classes we have on offer and the quality of our group fitness instructors who are dedicated to delivering these classes. Aspire offers the largest range of classes in Tauranga and we believe group fitness, like the rest of the club, must continually adapt and evolve to ensure we keep pace with the wishes and needs of our members as well as to take advantage of new trends and innovation. It is therefore important to periodically check the group fitness timetable for changes or adjustments. FREE WI-FI throughout the club – stream your own music!